Everyone knows what eyebrows are. They come in different shapes, sizes and densities. Some are bushy, some are thin and some are barely visible. 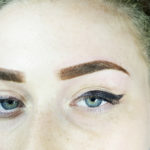 There are many variations that attribute to what someone eyebrows look like. You may notice that some people don’t appear to have any form of brow. This could be from years of plucking or perhaps a medical condition such as alopecia. In any case, what may have drawn this to your attention is the lack of framing that eyebrows actually give a person’s face. 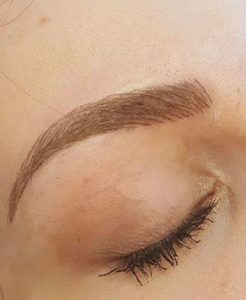 Contrast to this, in magazines, movies, tv shows and such like actresses of all ages will have the most beautifully shaped, natural looking brows. It’s amazing how well a defined set if eyebrows can enhance someone’s face and features. However, this luxury is not just for celebrities or the rich and famous. 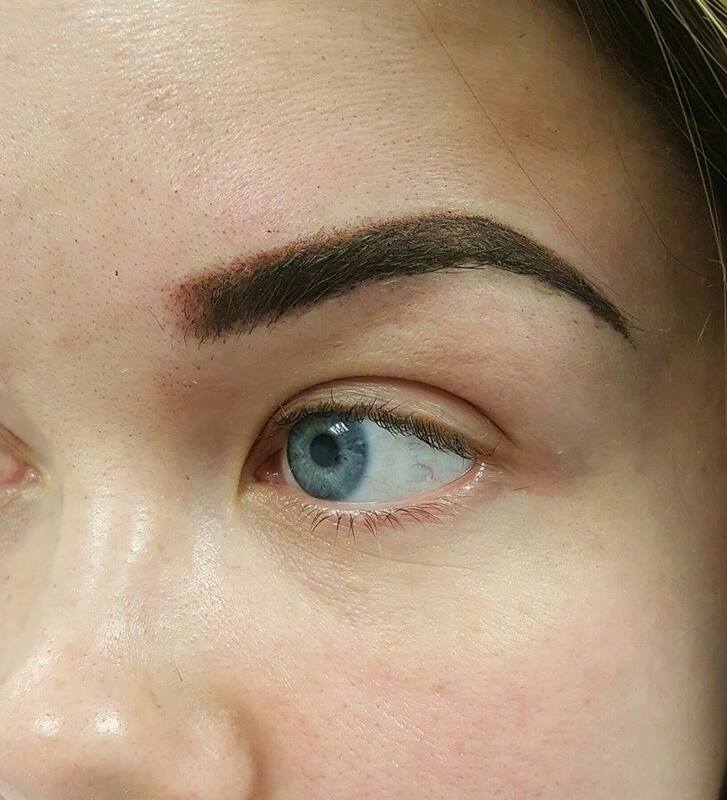 A look like this can be achieved using a treatment called Semi-Permanent Makeup. Also, known as Permanent Cosmetics or Micropigmentation. You have probably heard of it as popularity for these treatments is at an all-time high. 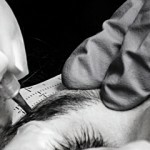 It’s likely that a friend or someone you know has had an eye brow procedure. In simple terms it is a non evasive procedure, whereby specialist pigment, (Not ink or tattoo ink) is implanted just under the skin. This technique can be implemented using a hand tool which has a small array of needles, known as a microblade or via a digital method using a motorized handpiece with various needle configurations. Using these tools and pigments, qualified technicians can create realistic, natural hair stroke brows with a beautifully defined shape. No more drawing on brows every day! Just good to go definition 24/7. 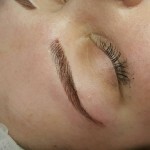 Who can perform a Semi-Permanent Makeup treatment? 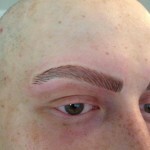 There are many practitioners offering Micropigmentation, you just need to do a search online. However, with any kind of cosmetic treatment you need to do your research first. Have a look at their recent portfolio of work. If they don’t have one, or the work is not to your liking then walk away. Also, look for as much information about them as you can on their website. How long have they been a technician, what qualifications do they have and do they update their training regularly? Are they using high quality pigments and Safe Needles? Cheap pigments can lead to problems later on with undesirable effects. Usually an indicator as to whether someone is using poor materials and equipment will be reflected in the treatment cost. These are just a few pointers to consider. After all, you will be looking to have a treatment on your face! Tracy Fensome has been performing Permanent Makeup treatments for over 11 years. Learning from the best in the UK and training regularly with the elite from Europe, USA and Asia. She is also a qualified teacher and delivers Permanent Makeup training from her Bedfordshire Academy. Tracy is an advocate of high standards and regulation, to make sure that clients receive safe and consistent treatments. She has sought the very best pigments from all over the world, so her clients go away happy, and remain happy. Have a look on her website. 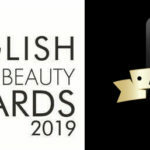 There you will find everything you need to know about what Permanent Makeup is, what is offers, FAQ’s, treatments and more. If you would like to know more, or would like to book a consultation. Please contact Tracy via the contact form or call 07980 578252.